What Are Mycelia in Microbiology? At one time, all living things were classified as plants or animals, and fungi were placed squarely in the plant category. Most fungi are multicellular, and they have cells walls. They’re sessile, meaning they stay in one place. With greater ability to study organisms on a cellular and molecular level came the realization that fungi are a unique group of living things, distinct from plants or animals. Their distinctions place this diverse group of organisms in their own kingdom: Kingdom Fungi. Kingdom Fungi comprises four main groups of fungi. Phylum Basidiomycota includes mushrooms, toadstools and puffballs. The portion of the fungus that grows above ground is only the fruiting body of a large underground network of filamentous structures that make up the bulk of this organism. Phylum Ascomycota includes a wide variety of organisms ranging from yeasts to morels. Some species of yeast are used in baking bread, while others cause rashes on moist tissues, such as diaper rash and athlete’s foot. Some fungi in this group feed on grains and destroy crops. Around 75 percent of fungi belong to this phylum. There are fewer than 1,000 species in phylum Zygomycota. These organisms include bread molds, which manifest as grayish-green fuzz on old, decaying bread. Some member of this phylum feed on decaying animals, as well as dead plants, while others parasitize living hosts. Phylum Deuteromycota are called incomplete fungi because they reproduce only by releasing spores. The other groups of fungi reproduce both by spores and by cells joining together through meiosis. A well-known fungus from this phylum is Penicillium, used to make the antibiotic drug penicillin. The diversity of this kingdom makes it difficult to provide a simple fungi definition. Despite their superficial similarities to plants, fungi are more closely related to animals. They do not have chlorophyll and cannot make their own food like plants. 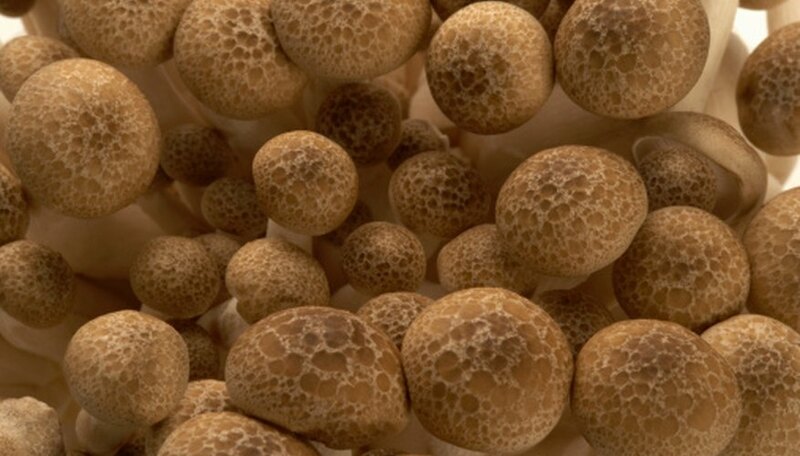 Fungi obtain food by absorbing carbon and other nutrients from dead or decaying organic material or living organic material in the case of fungal parasites. Instead of eating food and then digesting it, fungi first digest their food externally by secreting enzymes to break it down. Pre-digestion allows fungi to break down tough plant fibers into simpler, more readily consumed molecules of glucose. Parasitic fungi eat in much the same way. Within a living host, they use enzymes to digest living tissue before absorbing the nutrients they need from the tissue. The main body of a fungus is made of filamentous threads called hyphae. The hyphae are made of strings of cells that allow nutrients to flow from one cell to another. Collectively, the hyphae are referred to as the mycelium. Depending on the species, it can grow in or on a variety of materials, such as soil, water, or decaying or living tissue. They can reproduce by breaking off pieces of hyphae to start new colonies. Another method involves growing a fruiting structure to release spores. The edible parts of mushrooms are an example of this type of structure. Fungi maintain their structure because of their rigid cell walls. Plants also have cell walls, but unlike those in plants, fungal cell walls are made from chitin. This is the same material used to form the exoskeletons in insects and shellfish. Utah State University Department of Biology: What Are Fungi? What Types of Fungi Grow in the Ocean? What Carbohydrates Make up the Exoskeleton of an Insect? Mentzer, A.P.. "Characteristics of Kingdom Fungi Organisms." Sciencing, https://sciencing.com/characteristics-kingdom-fungi-organisms-8425182.html. 27 August 2018.